Pricing includes tax. Please email lalita@hanloh.com for any questions. All dishes on this menu are gluten-free. Pricing includes tax. Please email lalita@hanloh.com for any questions. Pricing includes tax. Please email lalita@hanloh.com with any questions! HANLOH and Manresa Bread team up for one night at their newest cafe location in Campbell, Ca. We will have lunch and dinner service. HANLOH will bring on some of our best dishes plus collaboration sandwiches. Wine, beer, sparkling, and cocktail will also be available for purchase. Manresa Bread is a neighborhood bakery led by Partner and Head Baker Avery Ruzicka and conceived in the kitchen of Chef David Kinch’s three-Michelin-star Manresa restaurant. Ruzicka mills 90% of the—primarily local—grains in house; sources high-quality artisanal ingredients; employs time-honored baking techniques; and uses natural fermentation processes to create a rotating selection of sourdough loaves and sweet and savory pastries. Manresa Bread has San Francisco Bay Area brick-and-mortar locations in Los Gatos and Los Altos, and an all-day café in Campbell. The breads and pastries are also available at the Palo Alto farmers’ market, at Verve Coffee locations in Northern California, and through national shipping to the lower 48. For more information, please visit www.manresabread.com. Please email LALITA at info@hanloh.com with any questions! Please email LALITA at info@hanloh.com with any questions! Pricing includes tax. Chef Chris Pester of Sante Adairius and I are cooking together on NYE! $5-$13 each. Pricing includes tax. We look forward to having you! Pricing includes tax. We haven’t made wings in months and this is the time you want come grab them! We make food from scratch! Wings from Fogline Farm! Pricing includes tax. Email lalita@hanloh.com for any questions. EMB Winter 2018 Release Party at Santa Cruz Mountain Brewing! 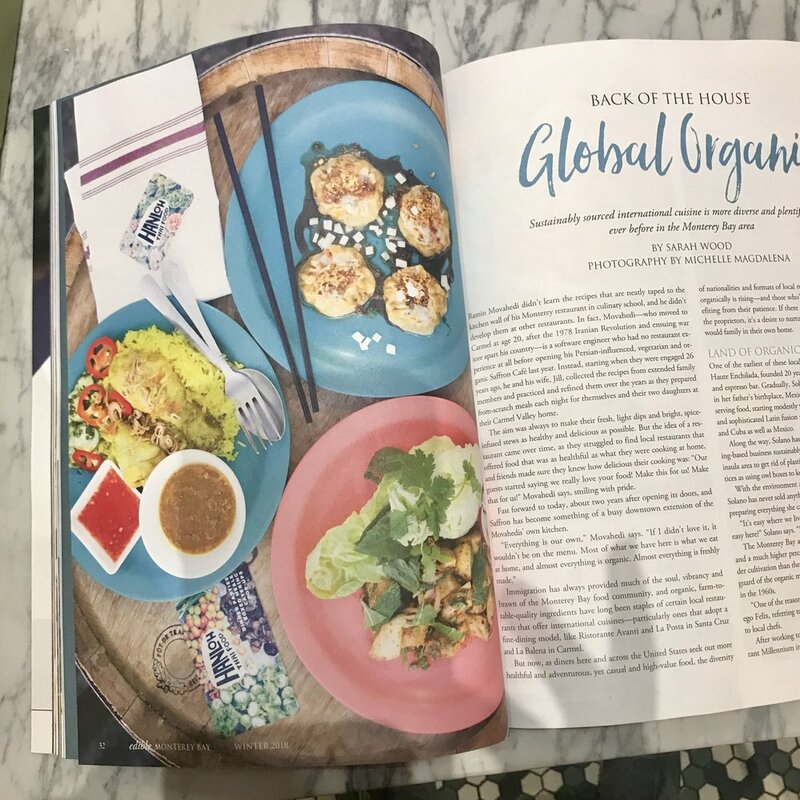 I’m honored that HANLOH is included in “Global Organic” write-up in the newest issue of Edible Monterey Bay magazine! With that said, we are offering small bites at Santa Cruz Mountain Brewing to celebrate. Please come join us! ADMISSION IS FREE BUT PLEASE RSVP HERE! 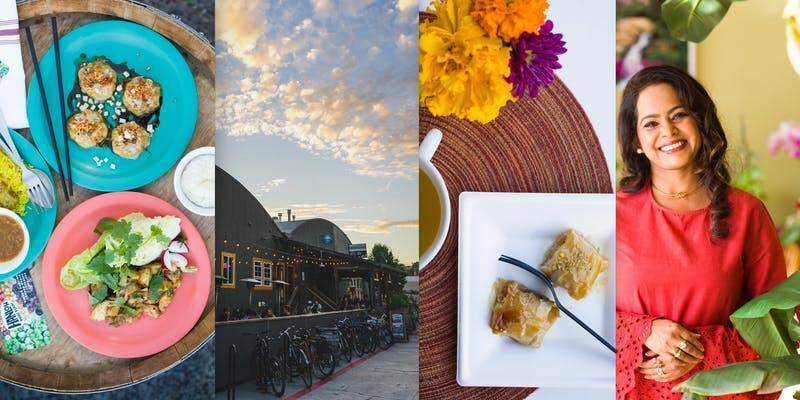 We hope you'll join us for an evening of delicious local organic food, beer and other libations at Santa Cruz Mountain Brewing on the Westside of Santa Cruz. SCMB really knows how to throw a party and this one takes place on Thursday, December 13 from 5pm to 7pm. 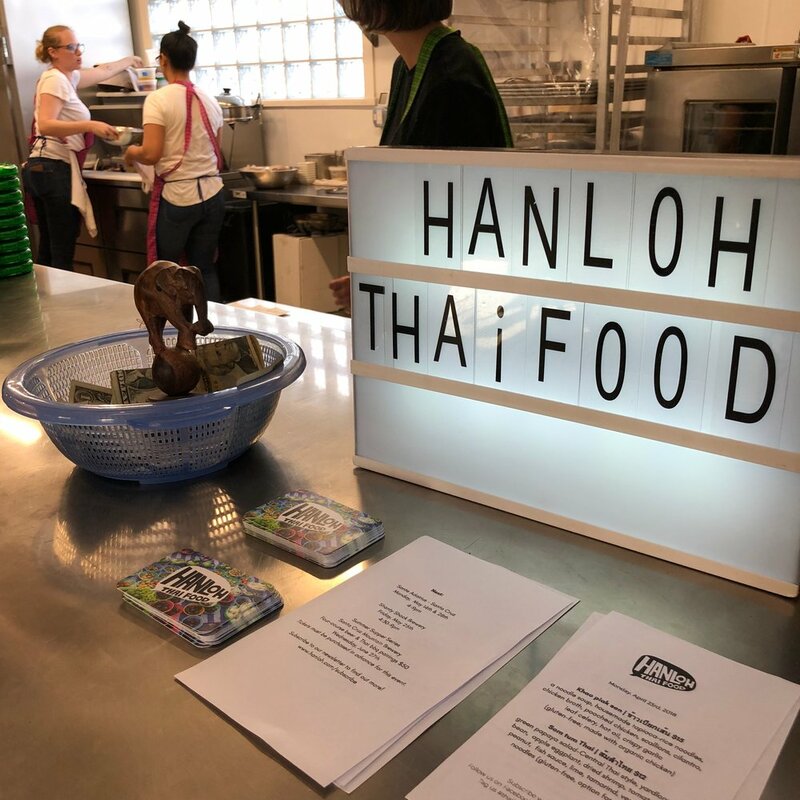 Complimentary small bites will be provided by local restaurants featured in the story "Global Organic" in the new issue of EMB, including Hanloh Thai Food and Pearl of the Ocean. EMB readers also get $1 off beverages, including the brewery's own spectacular beers, hard cider, wine, kombucha or root beer. And we'll have plenty of copies of the new issue to take home! Please email info@hanloh.com with any questions! Shumai and papaya salad will be available after 5pm. Pricing includes tax. Please email lalita@hanloh.com with any questions! All pork meat in this menu is from Llano Seco Ranch so it is super sweet. Pig liver will be from Fogline farm. Most veggies from local farms! We make food from scratch! Email lalita@hanloh.com for any questions. Pricing includes tax! Please email lalita@hanloh.com if you have any questions. 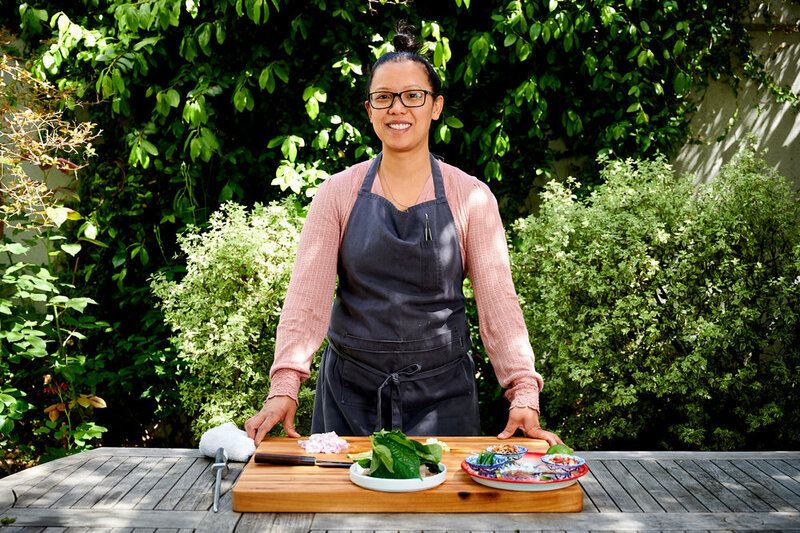 I'm very excited to make laab again, it is one of the most requested dishes. We have some really tasty Fogline Farm's pork skin and we use all natural ground pork! 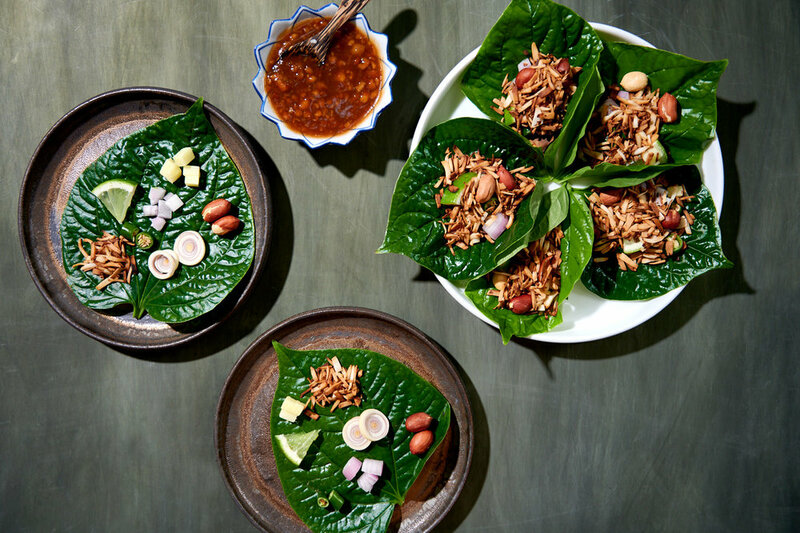 The savory crepe is a blend of Thai & Vietnamese cuisine. We look forward to serving you. Email lalita@hanloh.com if you have any questions!